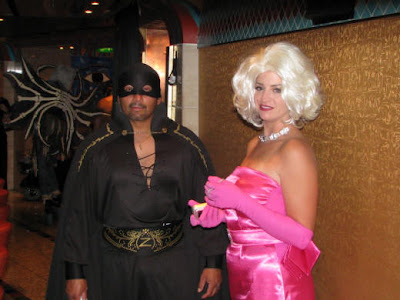 Halloween party aboard a cruise ship? We did that. It was very cool and I would highly recommend it. Not only did we not have to pass out candy and put up all those halloween decorations and deal with the trucked in loads of kids trick or treating, but we got to party with adults! 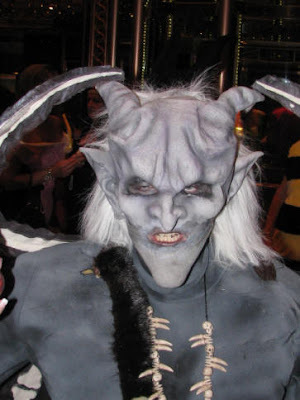 I was skeptical at first, and doubted many people would dress up in halloween costumes. Boy was I wrong. Basically the whole ship was having one big party. Carnival did a fantastic job of decorating the ship, and keeping the theme constant thoughout the venues. We had an absolute ball. I could not believe the costumes that some of the ships passengers came up with. You could tell they had put a lot of thought and effort into some of these costumes, and others must have forked over a wad of cash. Kathy had ordered costumes for us online, so we were prepared of course. Kathy is always prepared. LOL. Kathy was one of the more interesting costumned characters... she was Miss Piggy dressed up as Big Bird. She even had an elaborate feathered costume mask she had custom made for her. 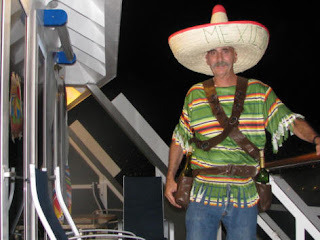 She got me a cheap Mexican Bandito costume and we bought me a sombrero that day in a mexican port of call. I forget which one. That was fun too... they were celebrating the day of the dead or whatever it is they celebrate instead of Halloween. 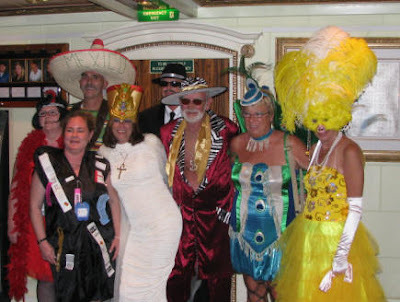 I'm actually thinking about suggesting to Kathy that we do another holiday type cruise. 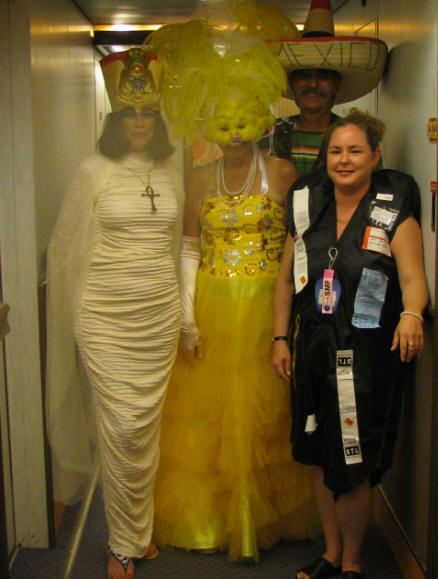 Here are some photos of our Carnival Spirit Cruise To Mexico On Halloween. costumes - See Miss Piggy as Big Bird? It's Rick and Tiffany, my step daughter and her husband. Wow... this was a really great costume. Another of our group. Hey! It's Me in my bandito costume! I make a great bandito.